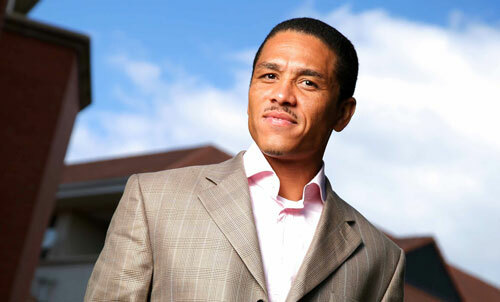 Well-known entrepreneur and investor and former Google SA boss Stafford Masie believes near-field communication (NFC) technology will fail as a mainstream transactional platform and local banks’ attempts to implement systems based on it are “farcical” and offer “no value”. NFC is a set of standards that creates a short-range wireless network over which files can be transferred and payments effected. Leading smartphone manufacturers are building the technology into their latest handsets with some pundits arguing it could change the world of transactions. But Masie disagrees. He thinks NFC will remain a niche technology and the way the banks, including local institutions like Absa, are implementing it will simply perpetuate a payments system that is complex and unnecessary. NFC as a payment technology will fail for a number of reasons, Masie says. The first reason is that handset manufacturers will build their own proprietary versions of the technology into their phones. The augmented feature set around NFC won’t be standard, he adds, because companies like Apple will integrate the technology in a way that benefits only them. Secondly, he says, ensuring universal adoption of NFC will require an enormous investment in new technology, especially in readers at the point of sale. He says it doesn’t make sense to replace a cumbersome payments system that already works with another cumbersome solution. Banks, he adds, are “desperate” to preserve the complex systems they have built around payments because they generate huge amounts of money from levying charges on merchants and consumers. “Banks know they have been screwing us for years. They know they have been getting away with murder and they continue to do so,” Masie says. NFC, Masie says, is a “perpetuation of the banks’ ecosystem: the bureau model, the switch model, the infrastructure model”. Rather, it’s the big technology and social networking companies that will own the space, Masie says. Though banks and mobile phone operators will offer big international players such as Apple, Google and Amazon.com localised services — regulatory compliant transactions in local currency — there is still no resolution as to who will own the electronic wallet. Banks want to own it, but Google, Apple and even the mobile operators also want to control it. Masie believes this is a fight the banks will probably lose, in part because consumers have lost faith in financial institutions in the wake of the global financial crisis. Mobile operators and social media companies such as Facebook and Google enjoy more consumer trust, he argues. The mobile companies, including those in SA, will begin challenging financial institutions in 2012 with new products aimed not only at entry level transactions but also high-value financial products like car and home insurance, he says. Telecommunications operators will become “dumb pipes and they’ll love being dumb pipes because they’ll handle local wallet clearance [for international players], they’ll manage Reserve Bank engagement, and that will become their new value proposition”. Though he doesn’t think NFC will become a popular standard for mainstream payments, Masie says another technology called “geo-fencing” is showing real promise. Geo-fencing creates virtual perimeters around a merchant and if someone is within that perimeter with a supported device (usually a smartphone) then a transaction can take place, but without the need for any need to swipe a card or establish contact between a device and reader. They simply pay with their presence and their face appears on the merchant’s point of sale terminal with their name. A celebrated example of geo-fenced payments is Square Card Case (video below), which runs on the iPhone and Android-based smartphones. It reads a repository of geo-fenced merchants on a map and allows users to permit merchants to withdraw money electronically from their wallets. Masie says the system is secure and open and, unlike NFC, doesn’t require extensive investment in new infrastructure. It also eliminates card skimming, a big problem in SA. “The banks won’t talk about it because they don’t have a play but geo-fenced payments are an example of lighter-weight technologies that completely nuke the value proposition of NFC”.